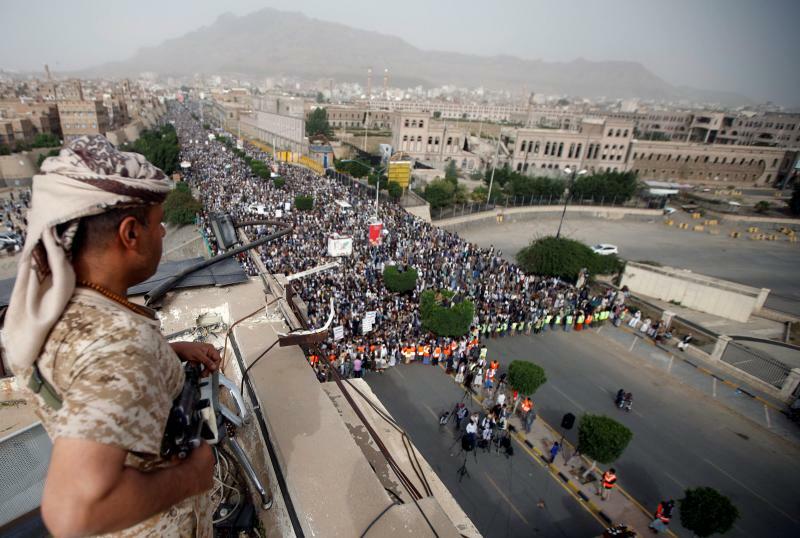 In 2011, millions of citizens across the Arab world took to the streets. Popular uprisings from Tunis to Cairo promised to topple autocracies and usher in democratic reforms. For a moment, it looked as if the old Middle Eastern order was coming to an end and a new and better one was taking its place. But things quickly fell apart. Some states collapsed under the pressure and devolved into civil war; others found ways to muddle through and regain control over their societies. Seven years later, those early hopes for a fundamental, positive shift in Middle Eastern politics appear to have been profoundly misplaced. But the upheaval did in fact create a new Arab order—just not the one most people expected. Although the Arab uprisings did not result in successful new democracies, they did reshape regional relations. The traditional great powers—Egypt, Iraq, and Syria—are now barely functional states. Wealthy and repressive Gulf countries—Qatar, Saudi Arabia, and the United Arab Emirates—are thriving. The proliferation of failed and weakened states has created new opportunities for competition and intervention, favoring new actors and new capabilities. Regional dynamics are no longer determined by formal alliances and conventional conflicts between major states. Instead, power operates through influence peddling and proxy warfare. In almost every Arab state today, foreign policy is driven by a potent mixture of perceived threats and opportunities. Fears of resurgent domestic uprisings, Iranian power, and U.S. abandonment exist alongside aspirations to take advantage of weakened states and international disarray—a dynamic that draws regional powers into destructive proxy conflicts, which sow chaos throughout the region. Any vision of the region finding a workable balance of power is a mirage: the new order is fundamentally one of disorder. The catalog of despair in the Middle East today is difficult to fathom. The Syrian civil war has become one of the greatest human catastrophes in history, killing at least half a million civilians and displacing more than ten million. Iraq has made remarkable progress in defeating the Islamic State, or ISIS, but that success has come at a great cost to those who live in the liberated areas. The civil war in Yemen has resulted in the largest outbreak of cholera in human history and left 8.4 million people on the brink of starvation. Libya remains a catastrophically failed state. Even states that avoided collapse are struggling. Egypt is still suffering from the consequences of its 2013 military coup, as stifling repression prevents political progress, suppresses tourism, fuels insurgency, and drives popular discontent. Bahrain continues to simmer after 2011’s bloody sectarian crackdown, with no solutions on offer beyond repression of the political opposition. Relatively successful states, such as Jordan, Morocco, and Tunisia, are grappling with massive economic problems, discontented youth, and unstable neighbors. In almost every country, the economic and political problems that drove the region toward popular uprising in 2011 are more intense today than they were seven years ago. Meanwhile, there is no shortage of flash points in the region. The U.S. withdrawal from the nuclear agreement with Iran has reopened the prospect of an American or Israeli military strike leading to war. The boycott of Qatar, led by Saudi Arabia and the United Arab Emirates, has divided the Gulf Cooperation Council, the most successful Arab international organization. In Syria, Israel’s increasingly frequent air strikes, Turkey’s cross-border operations, and Iran’s entrenched presence are pushing the civil war in new directions even as the armed opposition to the Assad regime fades. 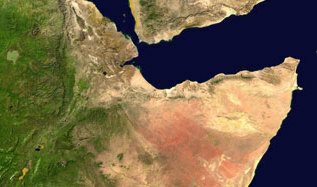 The stalemated war in Yemen defies containment, with missiles launched by the Houthi rebels targeting Saudi Arabia, Saudi air strikes causing widespread civilian deaths, and the United Arab Emirates establishing naval bases across the Horn of Africa to help enforce the Saudi-led blockade and to protect its new presence in the country’s south. Meanwhile, recurrent violence in Gaza and the death spiral of the two-state solution threaten to return the Palestinian territories to the center of international attention. Amid all of this, the United States, under President Donald Trump, has enthusiastically aligned itself with an axis of like-minded states: Egypt, Israel, Saudi Arabia, and the United Arab Emirates. But this attempt to restore something that resembles the pre-2011 order is far shakier than it appears. In the Middle East today, the proliferation of failed states, unresolved crises of governance, and crosscutting lines of competition undermine every exercise of power. When states attempt to assert control at home or influence abroad, they only exacerbate their own insecurity. The Trump administration’s decision to double down on support for autocratic regimes while ignoring the profound structural changes that stand in the way of restoring the old order will neither produce stability nor advance U.S. interests. There is nothing new about cross-border politics in the Middle East, but the structure and dynamics of the region today are quite different than they were in earlier periods. The 1950s and 1960s were defined by what the scholar Malcolm Kerr famously called “the Arab Cold War.” Under President Gamal Abdel Nasser, Egypt competed with Western-backed regimes and the conservative forces of Saudi Arabia in conflicts that ranged from direct military intervention in Yemen to proxy struggles over domestic politics in Jordan, Lebanon, and Syria. Meanwhile, pan-Arabism—the belief in a shared Arab nation—established the terms for both cooperation and competition among the region’s leaders on a platform of anticolonialism, Arab unity, and hostility toward Israel. Conventional accounts of Middle Eastern history view the 1970s as the end of these cross-border ideological wars. With the death of Nasser and the sudden advent of massive oil wealth, states became more interested in regime survival than grand ideological causes. During this period, countries developed stronger national security apparatus, which blocked domestic uprisings. And as states became more internally secure, there were fewer opportunities for proxy interven-tions. (Lebanon, to its eternal mis-fortune, was the exception to this rule, and its civil war, which lasted from 1975 to 1990, became the primary arena for proxy conflicts.) Even the 1979 Iranian Revolution, which introduced a new form of cross-border popular mobilization among Islamists, who were inspired by the successful overthrow of a U.S.-backed despot, failed to regenerate those same proxy-war dynamics. Instead, the Arab regimes united against a shared enemy and doubled down on their repression of Islamist challengers at home. Contrary to the standard story, however, that era of hard states had been fading for some time before the 2011 eruption. In the 1990s, globalization began to introduce fundamental challenges to the traditional Middle Eastern order. New international economic orthodoxies pushed states to cut social welfare spending and public employment. The large Arab states saw poverty grow and their infrastructure decay. Even the wealthy oil states found themselves at the mercy of global economic forces, such as the 2008 financial crisis and fluctuations in oil prices. At the same time, satellite television, smartphones, social media, and other new technologies undermined regimes that had become dependent on controlling the flow of information and the expression of opinion. And after 2001, the global war on terrorism, the demons unleashed by the U.S. occupation of Iraq, and the collapse of the Israeli-Palestinian peace process undermined the foundations of regional cooperation. By 2010, little justification remained for the Arab order beyond containing Iran and stifling democratic change. The 2011 Arab uprisings did not come out of nowhere. The 2011 Arab uprisings did not come out of nowhere; they were the culmination of structural changes that had been developing for a long time. Popular frustration with countries’ stagnant economies and lack of political freedoms had been mounting for at least a decade. The region’s political space had become unified through satellite television, the Internet, and other transnational networks, which allowed protests to spread rapidly from Tunisia to Egypt and then across the entire region. These simultaneous uprisings revealed a great deal about the internal strength of the Arab states: some easily adapted, others barely made it through, and the rest collapsed. Although the impact of the uprisings on domestic politics was obvious, observers paid less attention to how the fallout fundamentally altered the regional balance of power. Traditional powers such as Egypt and Syria were consumed by domestic conflicts, which left them unable to project power abroad. The wealthy Gulf states, on the other hand, were almost ideally suited to the region’s new structural realities. Money, media empires, and a central position in robust transnational networks such as the Muslim Brotherhood (Qatar) or international business (the United Arab Emirates) have allowed them to exercise soft power. Despite their small size, these countries have extremely well-equipped and well-trained militaries, supplemented by well-compensated mercenaries. This has enabled them to project far more hard power into arenas such as Libya and Yemen than the traditional Arab powers ever could. Most important, these regimes exercise near-total control over their populations, which means that they can dismiss external meddling in ways that larger, less wealthy, and less repressive states cannot. This is true even when they turn on one another. The year-long effort by Saudi Arabia and the United Arab Emirates to destabilize Qatar by cutting off diplomatic relations, sowing misinformation, and instituting an economic and trade embargo has mostly failed because Qatar has the financial resources and the repressive capacity to quell potential domestic challenges. In this new regional order, power itself operates in a different way. The uprisings created new fears about regime survival, even among the most successful players. At the same time, failed states and civil wars have presented countries with new opportunities to expand their influence. The unification of the Arab political space through the intense experience of the uprisings made states view every event in the region as both an index of power and a potential threat: no state could afford to opt out. Whether out of a desire to spread power or a defensive interest in preventing rivals from doing the same, almost every regime has found itself drawn into civil wars and other power games. If Tunisia and Egypt demonstrated the risks of popular uprisings to leaders who had grown too confident in their ability to prevent challenges to their rule, Libya offered the first template for taking advantage of these upheavals. When the Arab uprisings reached Libya, three Gulf states—Qatar, Saudi Arabia, and the United Arab Emirates—along with Turkey, leaped at the opportunity to move against the despised Libyan leader Muammar al-Qaddafi. The Gulf countries used their media empires to bring attention to Libya’s atrocities (while ignoring simultaneous violence in Bahrain). And they passed an Arab League resolution to help push the United States and the United Nations into supporting a humanitarian intervention. They also funneled huge quantities of weapons and money to their preferred local militias fighting the regime. These indirect interventions had long-lasting, negative effects. Qatar and the United Arab Emirates both supported the opposition to Qaddafi, but they backed different local proxies. After the regime fell, those forces retained both their weapons and their external patrons, thus impeding the consolidation of a functional Libyan state and enabling the country’s subsequent descent into civil war. Even today, Egyptian and Emirati military support for the commander Khalifa Haftar’s Operation Dignity, whose forces control much of eastern Libya, is accelerating and intensifying the fighting. But the devastating fallout of external involvement was not immediately apparent. In the heady days of 2011, the Gulf states and Turkey (like the United States) viewed their intervention in Libya as a success story: they realized the benefits of supporting local proxies and learned that they could secure U.S., European, and UN support for interventions against their rivals. With their eyes opened to new possibilities, they saw the popular uprising against Syria’s President Bashar al-Assad as an opportunity to pry Syria away from Iran and revise the regional balance of power decisively in their favor. When it became apparent in early 2012 that they could not replicate their success in Libya by gaining UN Security Council support for an intervention against Assad, the Gulf states and Turkey instead moved to arm the Syrian insurgency. Even if this failed to bring down Assad, they saw an opportunity to bloody an Iranian ally and take the fight to the turf of a key rival. 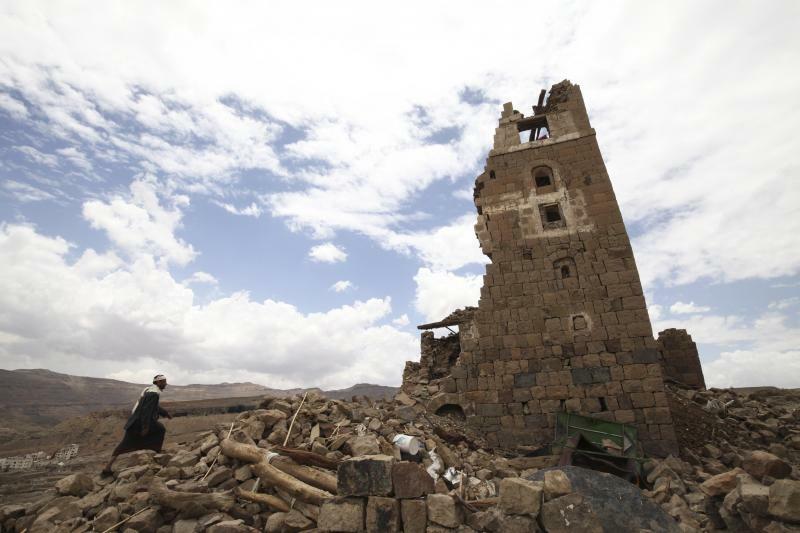 A man walks to a house that was damaged during an airstrike carried out by the Saudi-led coalition in Faj Attan village, Sanaa, Yemen, May 2015. This external support to the Syrian rebels produced catastrophic results, accelerating the violence without offering any plausible road to resolution. Although the Assad regime bears the most responsibility for the conflict’s systematic atrocities and brutality, the external backers of the insurgency also helped intensify the war despite the obvious costs. The structure of the region’s new politics dictated failure. Each time the rebels made inroads, competing external actors—Iran, Hezbollah, and Russia—intervened on the side of Assad. Each advance generated an inevitable countermove, which only escalated the level of human suffering. In one of the most decisive examples of this dynamic, in 2015, after radical externally backed insurgent groups gained ground in northern Syria, Russia brutally intervened in Aleppo. Although the United States attempted to force cooperation among the Qatari-, Saudi-, and Turkish-backed factions, it failed to overcome the infighting among their sponsors or to impose a coherent strategy. These problems were magnified by the privatization of the flow of arms and money to insurgent groups in the decisive days of late 2012 and early 2013, as Salafi networks in the Gulf poured money into the insurgency. This generated even more tension and pulled the insurgency’s center of gravity toward the jihadist end of the spectrum. As the war ground on, the Gulf states and Turkey shifted their support to increasingly radical Islamist coalitions in the search for effective fighters. Isis emerged from this environment, not as a proxy of any state but as an insurgent force that was well adapted to what Syria had become. After years of attempting to simultaneously arm, restrain, and shape the opposition from a distance, the United States ultimately intervened in Syria to fight not Assad but ISIS. This intervention succeeded on its own terms, destroying ISIS as a state-like entity in both Iraq and Syria. At the same time, the campaign’s limited scope and mandate prevented the United States from becoming entrapped in a wider conflict with Assad and Russia. But the complexities of managing even this limited intervention against ISIS proved daunting and generated unintended new commitments. The last several years have been characterized by U.S. and Russian efforts to manage their competition in Syria. Meanwhile, the Iranian- and Russian-backed regime has relentlessly recaptured territory from the steeply declining, externally backed insurgency. But even the collapse of ISIS and the Assad regime’s significant terri-torial gains have not brought the conflict closer to a conclusion. 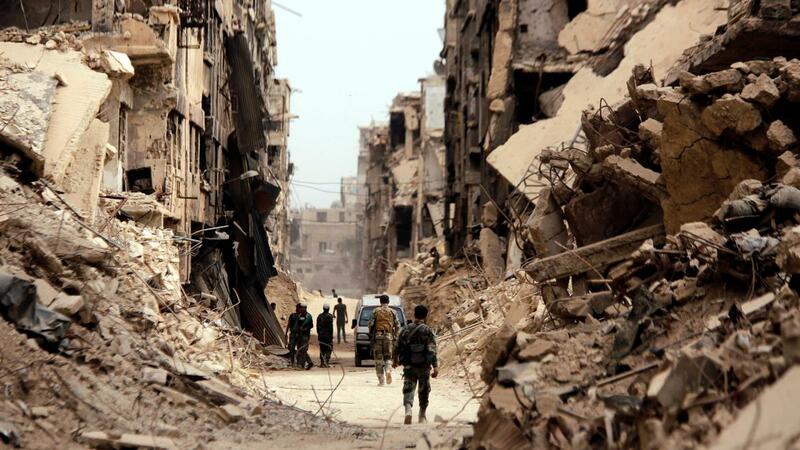 Syria’s failed state continues to exercise a magnetic pull on other countries in the region. The campaign against ISIS, for example, ultimately led to greater Turkish involvement. In 2015, in desperate need of local proxies to fight ISIS, the United States settled on the Kurdish-dominated People’s Protection Units, or ypg, which it armed, along with other militias, under the banner of the Syrian Democratic Forces, or sdf. The success of these forces triggered Turkish fears of Kurdish separatism, which in 2017 led Turkey to undertake its own escalating military interventions in several key areas in northern Syria. At the same time, Israel began increasing its air strikes against Iranian and Hezbollah targets across Syria. Both the opposition to the regime and the campaign against ISIS now seem to be winding down, but the Syrian war is more internationalized than ever. Every Arab regime today lives under the condition of profound perceived insecurity. Although Syria is the most cataclysmic case, the regional powers have created enormous human and political damage elsewhere, too, in their quest for influence and prestige. Their efforts have even destabilized countries that were not embroiled in civil war. The worst example of this is Egypt. In 2013, Saudi Arabia and the United Arab Emirates backed General Abdel Fattah el-Sisi’s military coup, which overthrew Mohamed Morsi, the democratically elected president who was a member of the Muslim Brotherhood and supported by Qatar. But despite tens of billions of dollars in Gulf aid, Sisi’s brutally repressive regime has failed to restore normalcy or stability in Egypt. Even in Tunisia, which has been relatively successful, competition between Qatar and the United Arab Emirates has driven instability. The large-scale injection of foreign cash and political support for local allies has polluted the country’s nascent democratic politics. These turbulent regional dynamics are the product of classic “security dilemmas”: when states attempt to increase their own security, they trigger countermeasures that leave them even less secure than they were before. Every Arab regime today lives under the condition of profound perceived insecurity. For all their bravado, they are terrified of another outbreak of popular protests. And the rapid proliferation of protests in 2011 convinced states that an uprising anywhere in the region could ignite one at home. When economic protests rocked Jordan this past May, Qatar, Saudi Arabia, and the United Arab Emirates immediately renewed economic assistance to Amman in order to stem the unrest. But when states attempt to repress potential challengers by exerting greater control over their societies, they typically only make the situation worse. The harder they crack down, the more anger and resentment they generate and the more possibilities for democratic inclusion they foreclose. This dynamic can be seen most clearly in Egypt, where Sisi has expanded his anti-Islamist campaign to include secular activists, journalists, and academics. As a result, he has alienated increasingly large segments of the coalition that supported the coup. These domestic security dilemmas explain otherwise inexplicable foreign policy decisions. Consider Saudi Arabia’s new crown prince, Mohammed bin Salman. After quickly consolidating power, the crown prince, also known as MBS, made dramatic shifts in domestic policy. He introduced social reforms, such as allowing women to drive and opening movie theaters. At the same time, he cracked down on women’s rights activists, arrested and intimidated a significant swath of the country’s elites, and sidelined key parts of the religious establishment. But MBS’ remarkably successful power consolidation at home should not be viewed in isolation from his disastrous and hyperaggressive interventions abroad. Even before his domestic power grab, he decided to intervene in Yemen’s civil war, assuming that a quick victory there would mobilize support at home. Instead, Saudi forces became trapped in a devastating quagmire. Likewise, the 2017 blockade and boycott of Qatar was expected to both establish Saudi dominance of the Gulf Cooperation Council and undercut any domestic challenge from the Muslim Brotherhood. Instead, it backfired: Qatar proved more resilient than most people expected. The blockade also undermined relations with Washington, damaged attempts to contain Iran, and weakened the Gulf Cooperation Council, perhaps fatally. In both Yemen and Qatar, Saudi Arabia has found itself trapped, unable to escalate enough to win but also unable to back down for fear of the domestic political consequences. The competition between the Arab countries and Iran provides another example of the security dilemma at work. Although Arab fears of Iranian expansionism are grounded in reality, those anxieties have always been far out of proportion to actual Iranian power. Perversely, however, the more that Arab states do to confront Iran, the stronger it becomes. In Yemen, the Emirati and Saudi campaign has turned what was originally a minor Iranian foothold into a stronger strategic alliance with the Houthi rebels and led to greater penetration by Iranian-backed proxies. In Syria, the insurgency backed by the Gulf countries and Turkey has given Iran a much more commanding role in the country. And in Lebanon, the bizarre spectacle of the Saudi government holding Lebanese Prime Minister Saad Hariri hostage in Riyadh for several weeks triggered a domestic political crisis that ultimately weakened the pro-Saudi Sunni coalition in the Lebanese parliament. But these new dynamics are not merely the result of interstate competition; they are also the product of weak and fragile states, which generate their own security dilemmas by creating power vacuums. Even if a regional power does not immediately view a power vacuum as a good opportunity to expand its own influence, it fears that its rivals will. And once a state gets involved, it believes that reducing support for its local proxies will only strengthen the proxies of its regional rivals. That fear makes de-escalation intensely difficult in the civil wars in Libya, Syria, and Yemen. Even if actors recognize that their interventions have failed, they are trapped by the competitive logic of the security dilemma—unable to win yet unable to leave. In a region so saturated with security dilemmas, no amount of reassurance from the United States can ever be enough. The unprecedented volume of U.S. arms sales to Saudi Arabia and the United Arab Emirates over the last five years (which was approved by the Obama administration to garner support for the Iran nuclear deal) has not left either of those countries any more secure. Even as Washington has given up any talk of democratization or human rights compliance, autocracies have not had an easier time resolving their internal challenges. The U.S. withdrawal from the Iran nuclear deal has only increased fears among the Arab Gulf states of an increasingly powerful Iran. Washington’s one-sided support for Israel amid violence in Gaza has deepened that country’s international isolation and hastened the likelihood of another conflict. And although the United States has brought the Sunni Gulf states into increasingly open alignment with Israel, this effort has been undermined by the Emirati and Saudi clash with Qatar. Even with a U.S. president who takes a hard line on Iran and seems to have no problem with autocratic rule, the Arab regimes no longer see the United States as a reliable guarantor of regime survival or their foreign policy interests. In this new environment, it makes sense for even close U.S. allies to build relationships with China, Russia, and the EU—as Egypt, Saudi Arabia, Turkey, the United Arab Emirates, and even Jordan are now doing. Such efforts are a rational hedge against the unpredictability of the United States, but they could easily escalate into something more through the same security-dilemma dynamics that have unsettled all other dimensions of regional politics. The Trump administration has struggled to manage these new realities. Trump’s sudden policy changes and the wildly incoherent messaging that is coming from different parts of the U.S. government are confusing allies and adversaries alike. Saudi Arabia and the United Arab Emirates may like Trump’s harder line on Iran and his support for the war in Yemen, but other policies, such as Washington’s pressure on them to end the blockade of Qatar, its demands for them to increase oil production, and the signals of its intention to pull out of Syria, have generated new frustrations. Still, Trump’s chaotic administration should not distract from the deeper structural realities, which would have presented a challenge to any U.S. president. The United States no longer has the power or the standing to impose a regional order on its own terms. In all likelihood, U.S. hegemony in the Middle East will never be restored because the region has fundamentally changed. Moving beyond the wars and political failures that followed the Arab uprisings will not be easy. The damage is too deep.